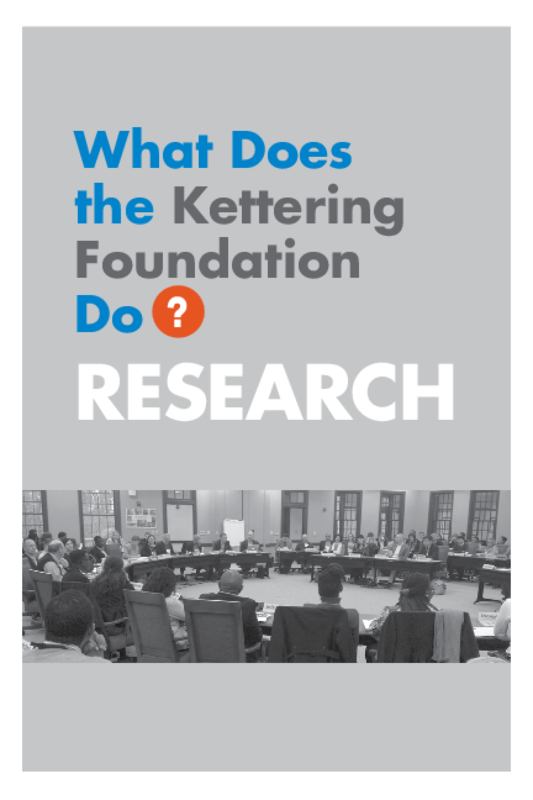 This booklet provides a brief introduction to the Kettering Foundation and its research, the main focus of which is understanding what it takes to make democracy work as it should. It details some of the challenges to democracy and the ways that citizens can work together, even when they disagree, to solve shared problems. A description of the foundation's joint learning exchanges is also provided.